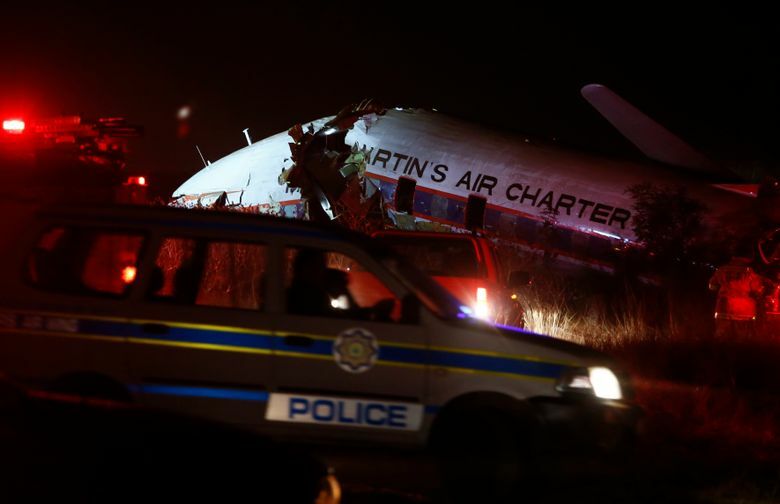 PRETORIA, South Africa (AP) — A charter plane crashed outside South Africa’s capital on Tuesday, killing one person and injuring nearly 20 others, with four of them briefly trapped inside the wreckage. 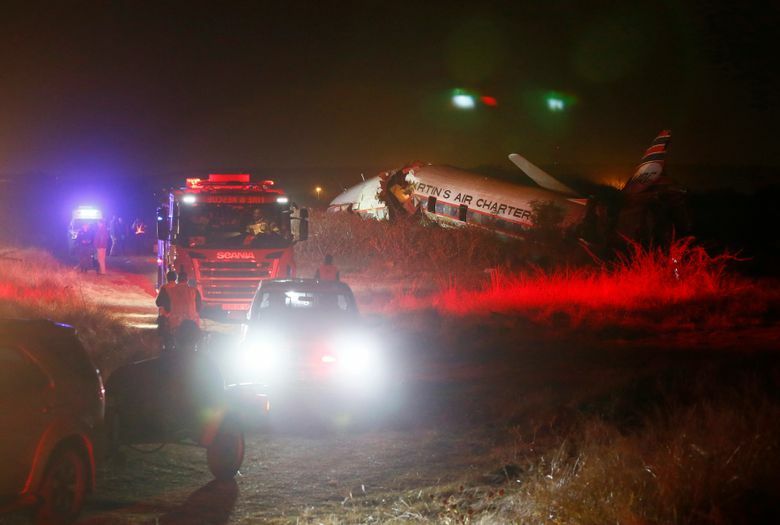 As the plane came down it crashed through a nearby factory, where one person was found in serious condition and another in critical condition, Pieterse said. 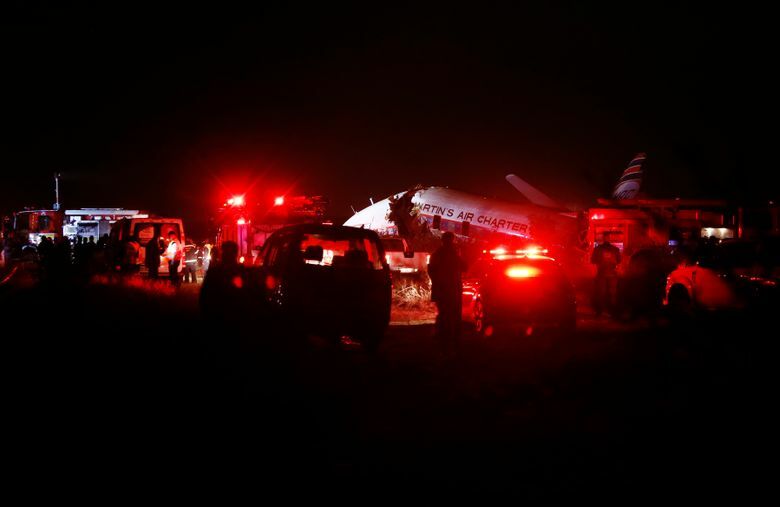 The crash occurred near an airport in the Wonderboom area. Video of the plane’s takeoff showed smoke streaming behind it. Authorities were investigating the cause. 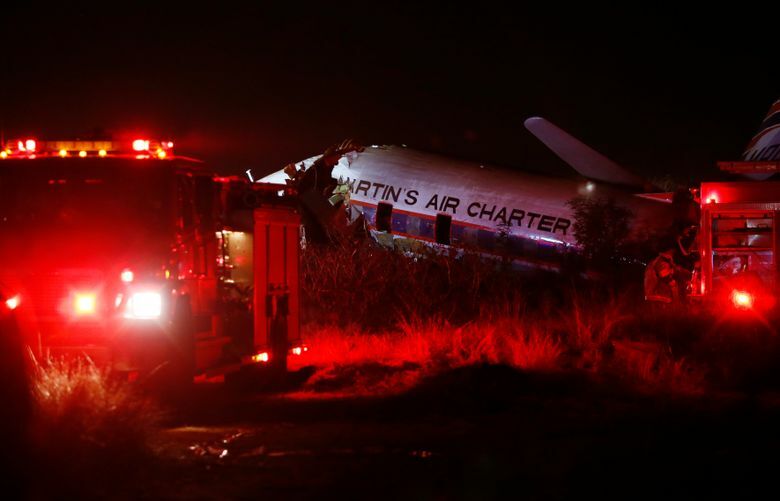 Photographs from the scene showed the damaged aircraft in a field, with “Martin’s Air Charter” written on the fuselage.